The skin around your eyes is more delicate than the rest of your face, it’s finer and has fewer sebaceous glands, making it more prone to dryness and lines. Our Eye Care is scientifically formulated with gentle organic ingredients, to provide specialist care, targeting the signs of ageing, fine lines and dark shadows to refresh and revitalise the delicate eye area. The delicate skin on the lips needs specialist care to stay soft and supple and to resist the effects of time. Our lip care contains organic, natural skin conditioners and moisturisers to protect, nurture and nourish, for the perfect pout. 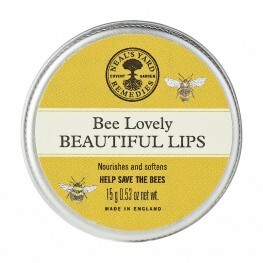 Bee Lovely Beautiful Lips 15g Discover beautifully soft lips with this organic balm, scented wit..